From the Bayou to the Big Easy, Louisiana is a state of adventure and excitement. But if you can’t trust your old car to get you down the I-10 safely and without breaking down, then it's probably time to consider selling that old clunker. And while there are plenty of buyers that will offer you cash for cars in Louisiana, it's important to be careful about who you sell to. Otherwise, you could end up being taken advantage of with a low-ball offer. If you're wondering how to sell a car in Louisiana for a fair price and with as little stress as possible, DamagedCars.com is here for you. 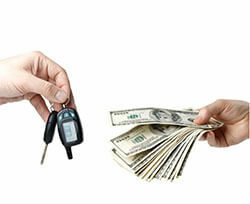 We buy junk cars in Louisiana, and we buy cars online, making the process quick and easy. Get your FREE online offer today! DamagedCars.com isn't like your typical scrap yard who buys junk cars in Louisiana. We'll buy cars regardless of their condition (including damaged cars and salvage cars), and because we have a team of valuation experts on our staff, we're always able to give you a fair and guaranteed offer. In fact, when you fill out our online form, you'll receive a guaranteed offer in as little as 90 seconds. Does it get any easier than that to sell a junk car? What kind of cars do you buy in Louisiana? What do I need to sell my car in Louisiana? There are a few requirements that all Louisiana car buyers need to legally follow in order to buy a car from you. 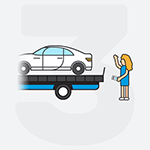 This includes making sure that you provide a clean and clear title to the vehicle being sold; this title should not have any holds or liens on it. In addition to your title, you'll need to furnish a working set of keys to the vehicle, as well as a current copy of your vehicle registration (if the vehicle is registered). Aside from removing any existing license plates from your vehicle before we come to pick it up and provide you with your payment, we'll take care of the rest. How much can I get when I sell my car in Louisiana? Selling your car to DamagedCars.com is the easiest and quickest way to get cash for your vehicle from a reputable buyer. Using our online form, you can get an online offer in no time. 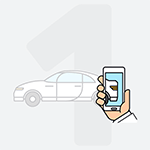 From there, we can even schedule to tow or pick up your vehicle for free in as little as 24 hours. You'll receive your payment at the time we pick up your vehicle! Louisiana's largest city is New Orleans, which is located along the Mississippi River. Known for its unique architecture, music, and Creole cuisine, the city is the most popular tourist destination in the state. Where do you buy junk cars in Louisiana? DamagedCars.com is a nationwide service, so no matter where you live in the great state of Louisiana, we're happy to work with you in buying your car. Get started today by filling out our online offer form. From there, we can arrange to pick up or tow away your vehicle free of charge from your home, place of business, or another convenient location of your choosing! We look forward to working with you. 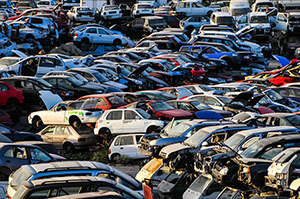 What should you know before selling to a junkyard or private buyers in Louisiana?